Honda scooters are quite the byword for a comfortable and powerful commute all around the world, with Forza 125 being one of them. And now, Honda has updated the Forza 125 with several design tweaks and the addition of some electronic bits. 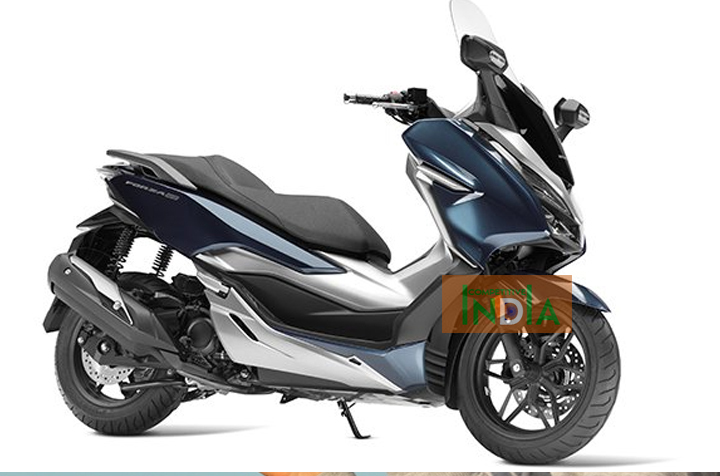 Honda Forza 125 was first introduced in 2015 and the 2018 version is pretty much a refinement of the older version. The engine and chassis remain the same, along with a fuel range of about 486 km in one full tank. The updates revolve mostly around the styling and convenience. Honda Forza 125 retains its 125cc fuel-injected single-cylinder engine that produces 14.75 bhp at 8,750 rpm and 12.5 Nm of torque at 8,250 rpm. The Forza has been a popular scooter in Europe and has sold about 30,000 units since 2015. Honda only has the Activa and Grazia in the 125cc scooter segment and neither of them has the maxi-scooter design like the Forza 125. And another contrast is the power figure – compared to Forza 125’s 14.75 bhp, the Activa 125’s 8.5 bhp sounds very small.